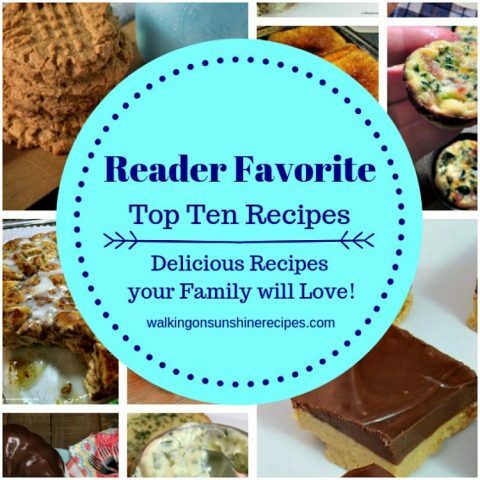 KitchenAid Mixer Giveaway - 10 Year Celebration of Walking on Sunshine! 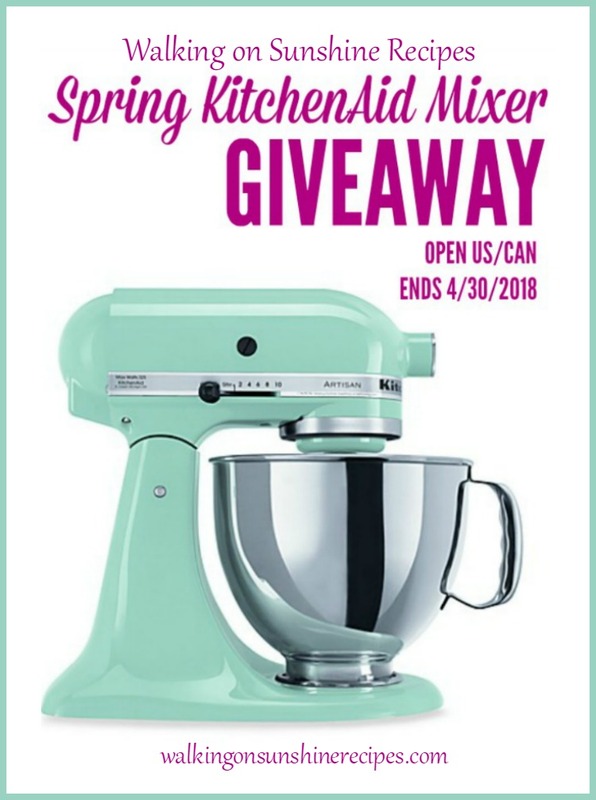 KitchenAid Mixer Giveaway – Celebrate 10 Years of Blogging with Me! Join me as I celebrate Walking on Sunshine’s 10 year Blogiversary with this amazing KitchenAid Mixer Giveaway! 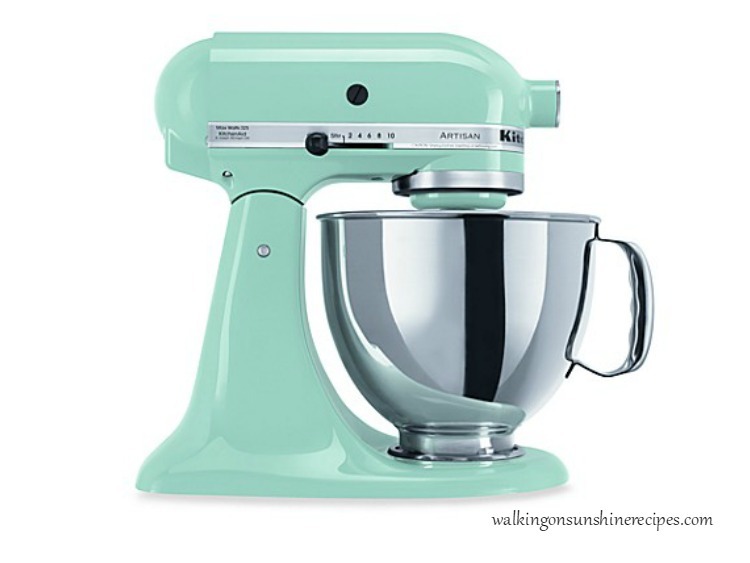 KitchenAid Mixer Giveaway – 10 year Blogiversary Celebration! 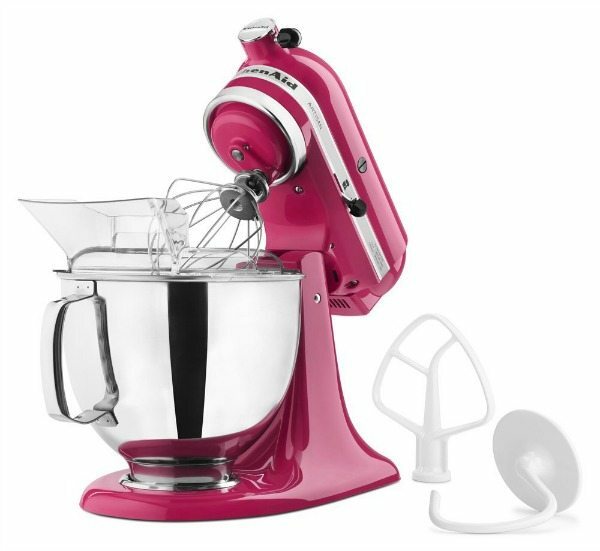 To help celebrate my “blogiversary” I am joining a few other bloggers to host this amazing KitchenAid Mixer Giveaway. Ten years ago this week I sat in front of my computer and wrote my very first blog post. I really didn’t know much about blogging but I needed an outlet and blogging helped. Yesterday I republished one of the very first recipes I ever shared. Crescent Rolls Fruit Tart was a very popular recipe those many years ago. I updated a few of the photos. I also added a printable recipe card…which wasn’t available ten years ago. Blogging was so different back. It was more of an online diary. But I love how it’s changed and I love what it is today! Blogging has filled a void for me. I’m sure some of you know that void I’m talking about: Olivia is married and living in Florida and Michael has one year left of college at Liberty University. I love my blog and all my readers! Make sure you come back this week for a few other surprises to celebrate this amazing journey with me! 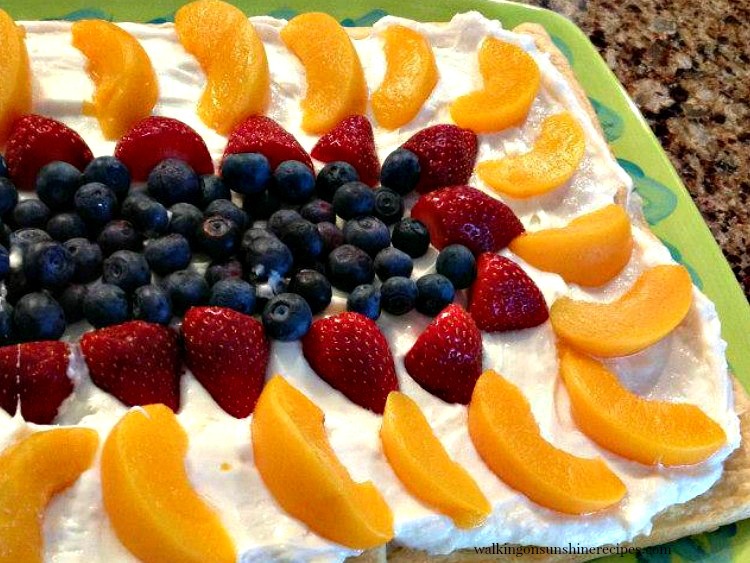 Crescent Rolls Fruit Tart is one of my favorite recipes to make when I’m hosting. This is one of the first recipes I shared on my blog ten years ago! It’s the “birthday cake” I make for our daughter Olivia. It makes a beautiful presentation too for bridal showers or ladies functions at church. Cupcakes are always delicious! Thanks for entering Tracy! I would love to make some homemade shortbread cookies…oh…and angel food cake for my husband’s upcoming birthday! Shortbread cookies are one of my favorite too! Hope your hubby has a nice celebration. Thanks for visiting and entering! Honestly, I have a Kitchen Aid mixer and I love it. My daughter has 3 boys, 2 of them are severely autistic. I would love to win this for her. She loves to bake for them and has always wanted a Kitchen Aid mixer! I’m pretty sure she would be making chocolate cupcakes, since it is one of the things that her boys enjoy. But knowing her like I do, she would be all about trying the accessories and making life simpler for their household. Thanks for offering the giveaway! This would be perfect for your daughter! Thanks for visiting today and joining the giveaway. I hope you visit again and check out the recipes! my family loves banana cake with cream cheese frosting. I would love to make them that. Cream cheese frosting is the best! Thanks for visiting Maureen! What would I make? The real question is what wouldn’t I make! Let’s start with some delicious blueberry muffins. LOVE blueberry muffins! Posted a new recipe last week for bakery style ones with streusel topping. Thanks for visiting! What a perfect,way to celebrate! Thinking a delicious cake is in order!! Congrats on your big milestone! Thank you for coming over today Christine! Thank you for the opportunity to win the fabulous mixer! Oh my…. if I won I would make carrot cake! My Kitchen Aid recently gave up the ghost and I’m absolutely lost without it. I’m still mourning my old kitchen friend. Oh I would be lost without mine also! I really love mine but would love a new one with that aqua color. Thanks for joining! That’s a great idea! Love cinnamon rolls. Thanks for visiting Theresa! The first thing that I would make if I won the Kitchen Aid Mixer is a Dr. Pepper Cake for my son. His birthday is in a few weeks and it is his favorite cake. I’ve never had a Dr. Pepper Cake! That sounds yummy. Hope your son has a great birthday. Thanks for visiting today Louellen! Yummy! I need to make cookies soon! Thanks for visiting Jenny! I would make red velvet cake, my family loves it! That sounds yummy too! Thanks for visiting! I would try my pastor’s mom’s cookie recipe she just gave me! Cookies are the best thing to make in a KitchenAid…the butter and sugar get very creamy! Sounds good Angie. That sounds amazing. Thank you for joining! Oh that sounds good too! Thanks for joining Kim! I would make banana bread first thing if I won. I love banana bread…great choice! Thanks for entering! What a great giveaway! I would love to have this both for baking for my nieces, but also because we make all our own dog treats and that would make it SO much easier! I’m sure your dog will enjoy the treats as well! Thanks for entering! In my house my husband does most of the baking. HE WOULD BE THRILLED to get this mixer!! He has a mixer just like it from his grandmother, but it has given up the ghost. Jack keeps it on the counter as a reminder of his grandmother. So the first thing he would make is his Grandmother’s Biscotti recipe. The possibilities are endless with a KitchenAid mixer! Thanks for joining! That sounds great. Fresh baked bread is always yummy! Thanks for visiting. The first thing I would make is cheesecake, and my grandma’s date nut roll. Oh we love cheesecake and your grandma’s nut roll sounds delicious!!! Thanks for joining! I’d make cookies, cookies and more cookies! Yummy! We love cookies too! Oh, goodness- this is so awesome! I think I would try and attempt to make my precious Nana’s coconut cake. She passed in 2016 and I haven’t attempted to bake any of her recipes since bc I miss her dearly! Cookies are always good! Thanks for joining! 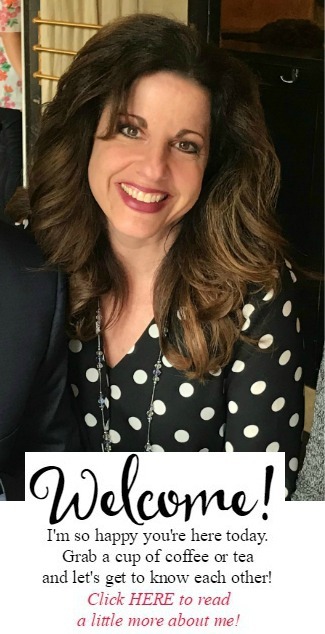 Congrats on your 10 year blogversary! Thanks for this opportunity because I would love to have a Kitchen Aid to make some delicious cakes for special occasions and some sweet breads. Sweet breads sound yummy too! Thanks for visiting and joining! I would actually give this to my beautiful daughter. She loves to bake for her two beautiful daughters! That is such a lovely thing! Thanks for visiting and entering! I would make white chocolate raspberry cheesecake. That sounds really yummy. We love cheesecake. Thanks for visiting and entering!